A couple of weeks ago I received a custom order request from a friend that I went to grad school with. 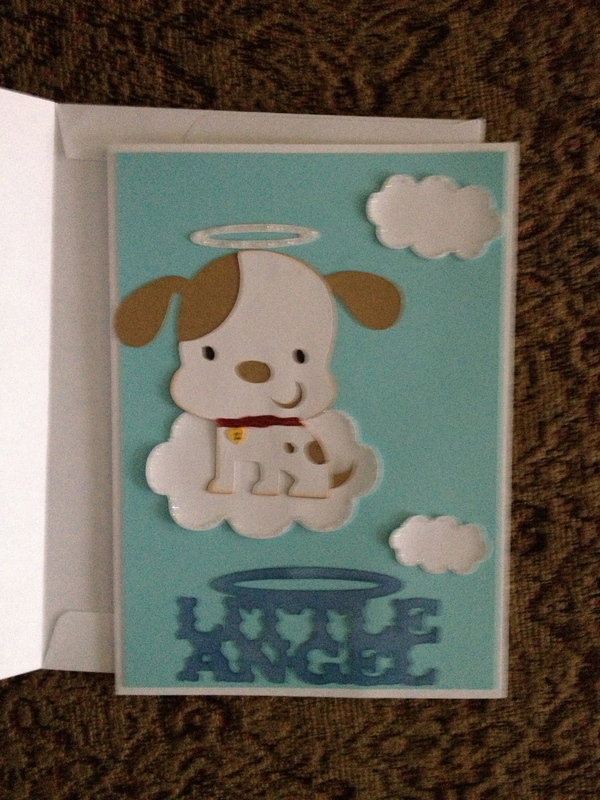 She asked me for a pet sympathy card. I didn’t think that there would be a market for those type of cards, but to my surprise, I was wrong! My last sale was in fact the same card I made for her! So I have to say thanks to Kara for the idea! The colors are slightly different. I don’t like to make two of the exact same card – I like to make each card unique. I also added a collar and a tag with the letter “Z” for the dog’s name. The next card I made is for my coworker. She had surgery on Thursday. I know its going to be a long road to recovery for her. 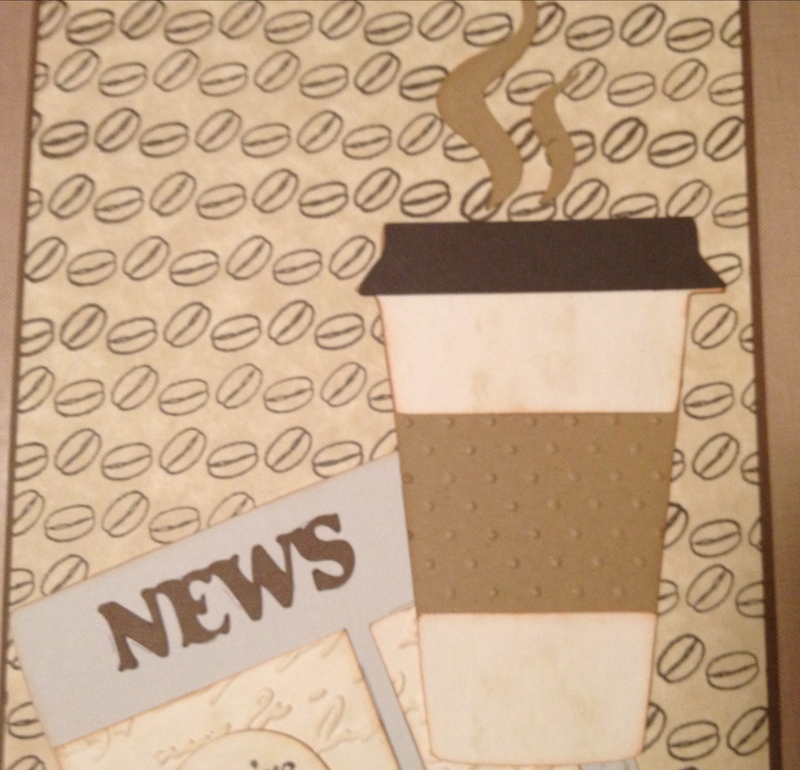 She came down last week to get cards that I was donating to Hayden’s Heart fundraiser this past weekend and she liked the Thanks a Latte card that I made. So, I wanted to use that image in the card for her. 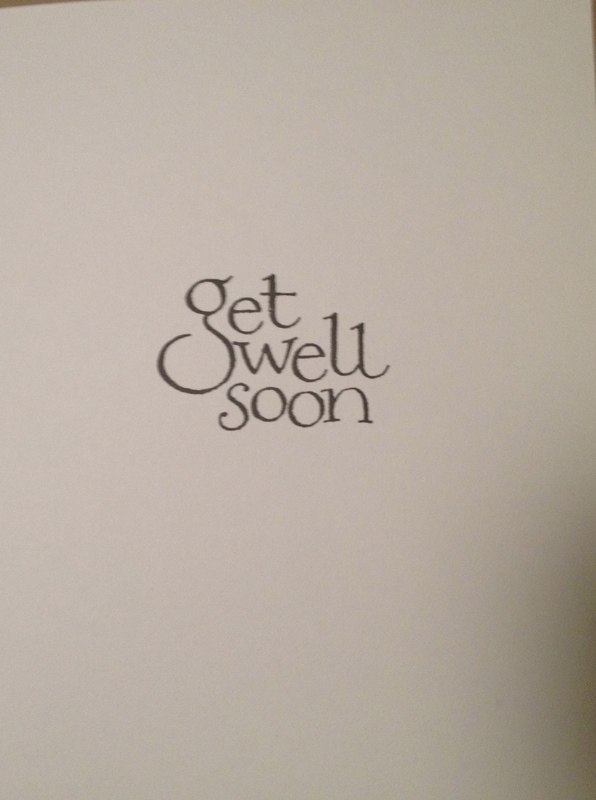 But how do you turn a coffee card into a get well soon card? Well, this might be a stretch, but I used the sentiment “How’ve you bean?” on the front and get well soon on the inside. I had to think long and hard about how to make it work and I think I might have succeeded. We’ll see once she gets it! 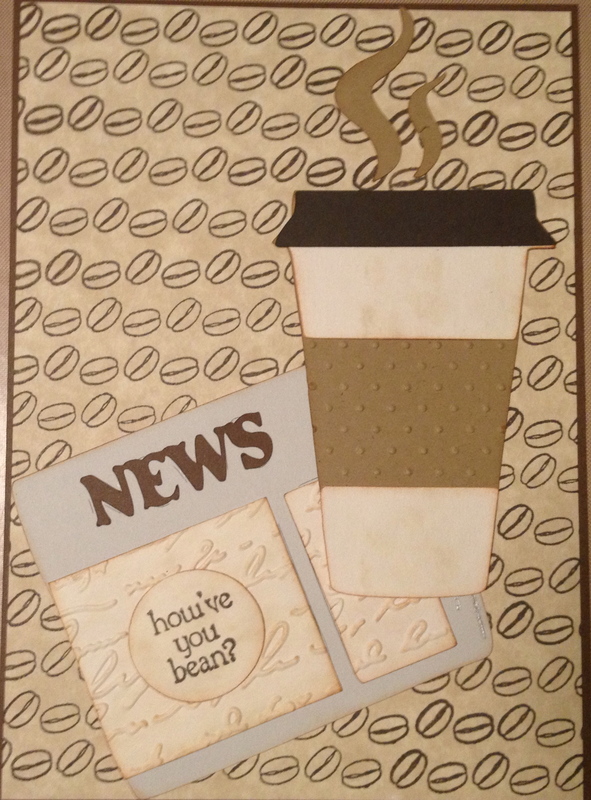 The coffee cup was cut at 5 1/2 inches and the newspaper was cut at 3 1/2 inches. Hope you like the cards! Thanks for stopping by. As always, feel free to leave a comment and subscribe. Also, if you want to see more about the cards, check out my YouTube channel – my username is chelebelle1120. 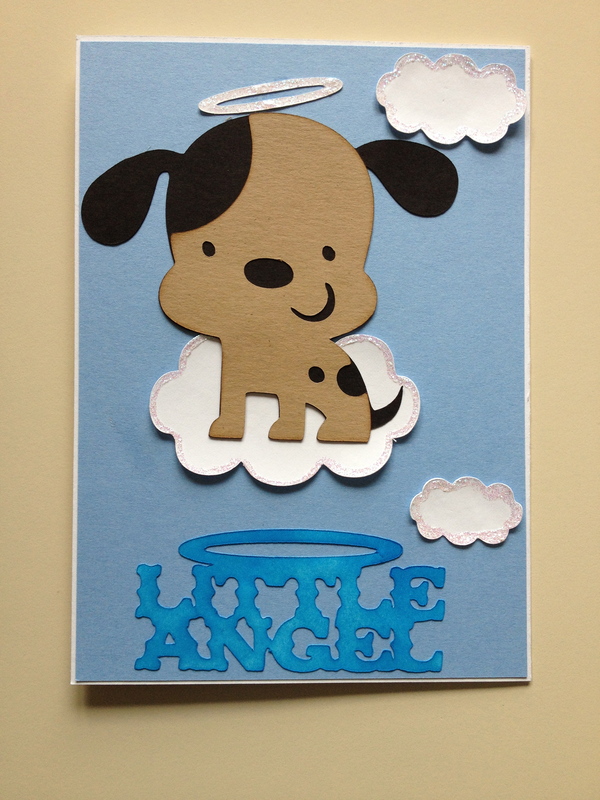 Posted in card making, Cricut, distress ink, Embossing Folders, ideas, stamps, YouTube and tagged clouds, coffee beans, Coffee cup, coffee mug, Create a Critter 1 & 2, dog sympathy card, get well card, halo, how've you bean?, little angel, Love You a Latte Cricut Lite cartridge, pet sympathy card, Rock Princess Cricut Cartridge, Stazon Timber brown ink. Bookmark the permalink.